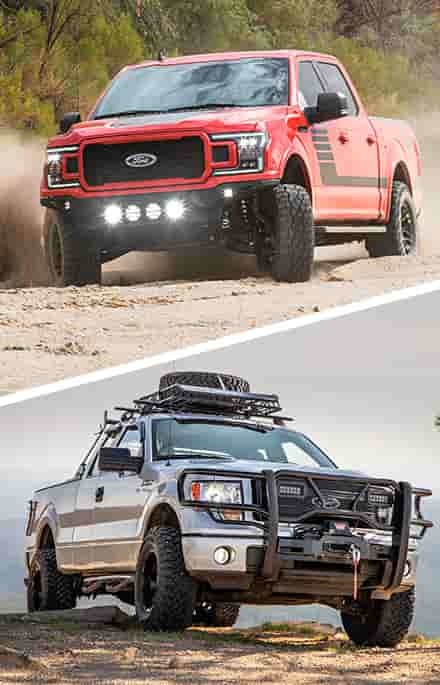 Ford's F150 and Super Duty trucks need some bass. There's absolutely no doubt about it. Even the trucks with the premium Sony Audio package are a bit lacking in a powerful bass note, but our friends over a Kicker Audio are here to help with their Vehicle Specific Solution (VSS) Substage Kit. 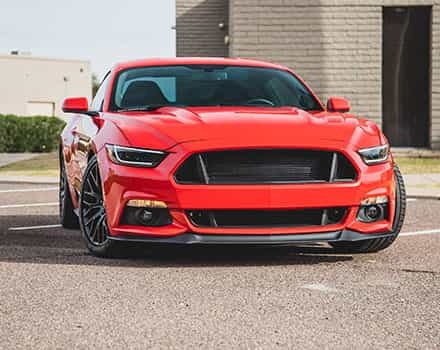 This kit is a full enclosure that comes with a large 8" Kicker Subwoofer powered by its own 200-watt Kicker amplifier that gives your pickup more bass and more depth and makes for an absolutely huge sound quality improvement on the 2015-2019 F150s and 2017-2019 Super Dutys with base audio. The kit is designed to bolt into your truck where the Sony amplifier would've been installed, and use existing bolt holes in the floor of your truck under its rear bench so that you don't need to come up with a custom mounting solution in order to get an excellent sound quality upgrade for your F150. The Kicker VSS SubStage System is built around an impressive Kicker Subwoofer that generates a louder, deeper bass note than the Sony 8" subwoofer while giving your entire audio system more range and depth. The Kicker Subwoofer comes preinstalled in Kicker's complete enclosure assembly and pulls power from Kicker's 200-watt amplifier that solely powers the Subwoofer and is likewise already installed in the drop-in enclosure. Each Substage System comes with a full set of wiring that allows you to easily run power out to your truck's battery and tap a source for the subwoofer with minimal amounts of wiring work. The Substage kit comes with a full set of high-quality instructions for both the enclosure installation and wiring. 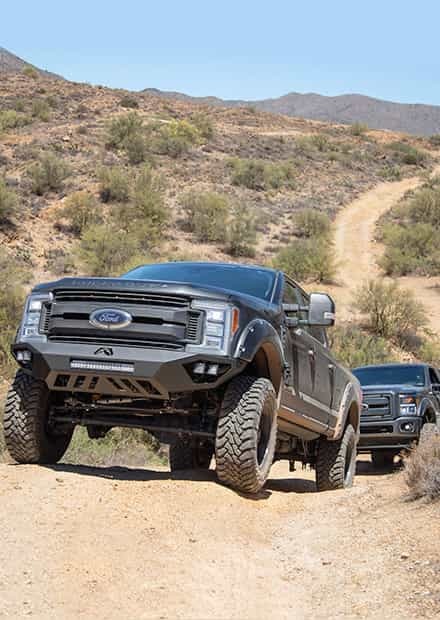 SuperCrew & SuperCab Only: This system will only fit 2015-2019 F150s, 2017-2019 Raptors, or 2017-2019 Super Dutys with a SuperCrew cab (Crew Cab) or SuperCab (Extended Cab). 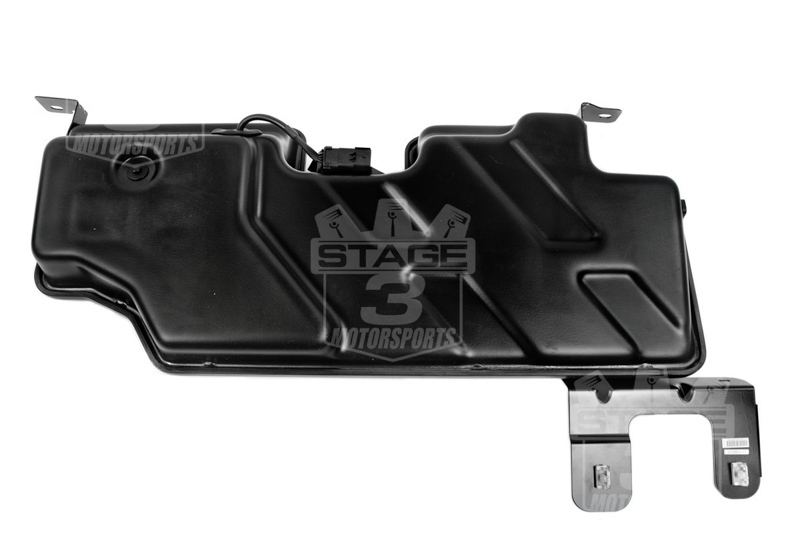 F150s with Auto Start/Stop: F150s with the stock Auto Start/Stop systems enabled may experience the Kicker System cutting out temporarily when the truck switches from its alternator power to its battery power. Unfortunately, the only known fix is disabling the Auto Start/Stop feature manually or permanently via custom tuning. Purchased the Kicker sub package with the vehicle. I was a little optimistic at first not knowing how the sub would sound with the factory head unit. After some equalizer set up, I was more than pleasantly surprised with the sound quality. Definately a must for the sound enthusiast wanting a much more fuller sound. The unit is neatly tucked away behind the rear driver side seat and doesn't impede with room. Now it's time to upgrade the factory Ford speakers to complete the sound. Installed this system about a month ago and am very happy with its performance! A great addition to the factory set-up. Installation took me a little more than 4 hours. Instructions were straight forward. The work under the steering wheel was a pain in the neck but well worth the effort! I was especially impressed with the look of the installation. The sub assembly fits perfect behind the rear seat back. Well worth the time and money! Thanks Kicker and Stage 3! Awesome addition to my truck but.... There is one catch to the install directions that folks should know because it is not anywhere on the web. 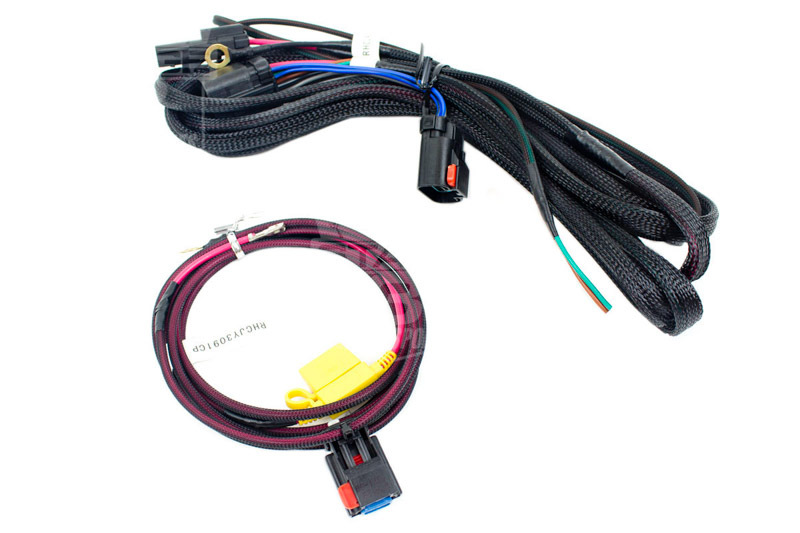 For my truck, 2017 F250 XLT Premium Package, 2WD with the 6.7 diesel, the black wire connector body behind the front drivers side kick panel does not have the White and White/Brown twisted pair speaker wires in it. I had to unbolt the parking break mechanism and move it out of the way so I could access the wiring going out to the door speaker (WHT and WHT/BRN). Once I figured that out, the project was very easy. Took me about three hours. If I had known about the location of the speaker wires, I would say it can be done in an hour and a half with no beer breaks. in stalled the Substage in 2015 Platinum, it took a little longer than I thought it would. Sound a little better than the Sony Sub. I had a 2012 Platinum with the 10 Kicker Substage, it hit a lot harder than the 8 now. I even hook it up first before I ordered this one. You cant secure it with out drilling holes in the floor. The 2015-16 goes right behind the seat with some work just like factory. Just wish it hit harder. Simple install (I have no audio install experience and did in in 1.5 hours). 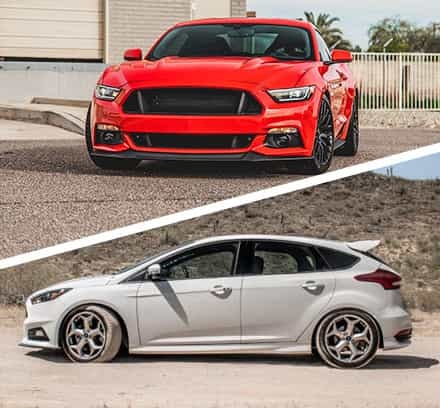 The only thing I have to compare is to is the VSS for a 2012 F150, which is a 10 sub. You can definitely tell it's not a 10 , but still a great improvement over the stock sub. I'd buy it again. Nice upgrade. Took longer to install than I assumed, but the biggest pain was tapping the 2 speaker wires. My truck only had about 2 of the wire bundle showing and they were so tight I could barely seperate them to look at colors, let alone tap them. Ended up taking the harness off the truck and then could get at them better. It says to tap the white & white/brown wires - but there are like 6 white wires and 4 white/brown ones. First ones I tapped didn't work, then tried another and it worked. Don't seat the harnesses onto the unit until it is in place - they do not come off and I snapped both tabs trying to get them off. Knew I shouldn't have done it at the time, but wanted to see how they route when clipped into the bracket. Run your cable first, get the unit in the truck (before bolting down), connect the harnesses and then attach to the bracket. Once installed it does sound very nice. Good bass sound, but this is certainly not going to rock the block. I have had various systems for 20+ years - usually dual 12s and this obviously doesn't even come close. If you want big sound - go elsewhere. But this does definately round out the stock radio and I believe I will be happy with it. Glad I didn't spend the extra $500+ for the extra amp for the door speakers. I am sure it would be a nice improvement, but $500 for an extra 200watt amp is crazy imo. Awesome upgrade. I have the Sony premium sound package and the base wasn't that great. This install added in that missing base. I am very pleased with the total sound quality now. My only issue was the 2 small holes to bolt the upper sub bracket to the back wall were off by 1/4. I just drilled 2 new holes and secured it. It took about 1.5 hrs to complete. This was well worth the money. The installation instructions and video were well done. Overall installation was straight forward. The sound improvement is significant. Well worth it! A I also installed JL speakers from another source since the 2018 has depth issues that prevent the kicker speakers offered here from working. I love my truck, but have always had to upgrade my ford systems to get quality sound. Kicker has done a great job with this product. This system is a nice upgrade from the factor Sony sub. While it's not a thumper, it does do a very nice job off filling in the bottom end. The big thing about this is the independent amp that powers the sub only. The factory Sony amp has to pull double duty and power both the door speakers and the sub. With this upgrade, the Sony amp, only has to power my upgraded Pioneer speakers which now sound a lot fuller. Of note, with a 5.0L motor, the battery is on the passenger side of the truck so the power cord is just long enough to make it through the firewall and connect to the wiring harness. Because of that, I had to split the harness to allow the connector from the wiring harness that connects to the sub wires behind the b-pillar to reach behind the b-pillar. Also, the connector that attaches to the quick connectors, which attach to the factor sub wires, wasn't included but were quickly shipped to me from Kicker. Finally, I had to adjust the top mounting bracket on the sub so it would line up with the two holes on the back wall of the truck because the carpet was keeping the sub from getting low enough to mount. All in all, great support from Stage3 & Kicker. I high recommend watching the install video a couple of time as the directions/pictures in the printed directions can be a little vague at times. Took me just under two hours (mechanically competent enough to be dangerous). The instructions included leave a bit to be desired but definitely use them for the wiring part as colors on the video posted are different on the '18 and the hookup is slightly different in location. The video was a nice help for those that are visual beyond a grainy black and white photo and nice to have for some of the removal of trim. The sub itself is amazing. This fills in the gaping hole that is missing from the stock Ford stereo, this is how the truck should sound from the factory. Cranked up on the EQ it will definitely hit pretty well for a small package but will not rattle your windows or wake the neighbors. Love it even on songs that aren't bass heavy, just fills out the sound perfect. Highly recommended. Install less than 2 hours. Instructions are great, especially for where to cut out carpet for bolts. I typically turn off my auto s/s, but I haven't had any issues with bass cutting out if I forget or when the engine is shut off. I got this on a Black Friday sale, that said I would not pay $700 for this. The system itself leaves a bit to be desired, it really can't achieve low ends very well. That said no space is lost, which was the goal. This isn't anything new based on other reviews just know you're not getting a thumper out of this, but it will add nice bass. Pros: pretty much plug and play, no space lost, decent bass, (idt it voids warranty since Ford approved?) I hope at least. Cons: Overpriced for sound quality. Received the item within two days from Arizona to California. Had the installation done in just over an hour after taking it out of the box. Real easy install. Probably the most difficult part of the installation was pulling the power wire through the rubber grommets between the engine firewall and the inside of the cab. The Kicker VSS subwoofer replaced the Sony subwoofer that was installed by the factory. What a difference in sound quality. It’s not earth shattering but it definitely brings the complete system to life. Highly recommend! 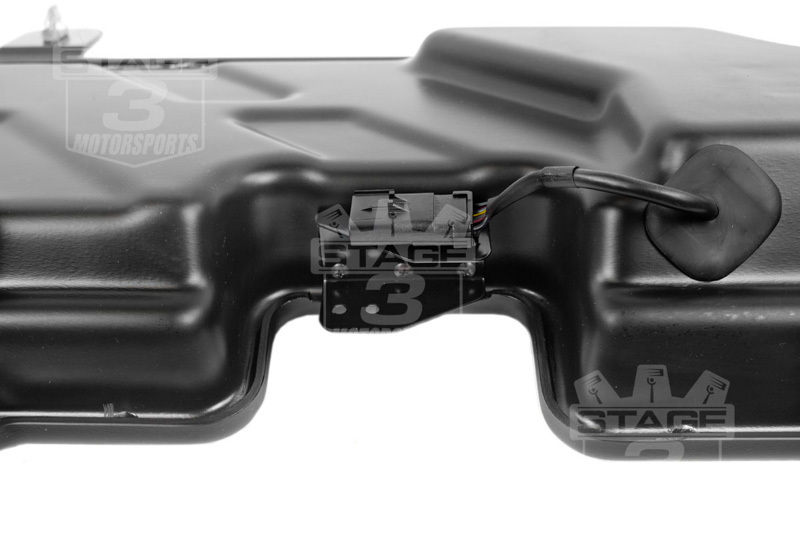 Thanks Stage3Motorsports for continuing to offer great products and customer service. I'm pleased with the results of the speaker upgrade and the price point on this kit. Installation took me about 3 hours but I also installed sound proofing material, roadkill foam baffles and used mount kits (Metra 825606 for 6x9 & Metra 825605 for 6.5). The metra kits allowed my to self tap screw into them with stock screws and not use what was provided in the Kicker speaker boxes. All in all, the installation was simple, I hard wired the speakers using poke and wrap after figuring out polarity from a youtube video. Super simple to install if you have ever done anything like this before. Overall sound quality IS better than my stock Sony speakers. I would say from a B- quality stock to an A. I also installed the Kicker sub/amp kit and it was fairly simple too. I am a bit disappointed in the thump but the tones are good enough for me at my age; and I didn't have high expectations on an 8 sub. Together, these upgrades greatly improved the audio for under $1k which was more than enough for me! Just to verify, this mounts BEHIND the back seat and not underneath correct? There is no loss of floor space when the seats are folded up? Thanks! That's my understanding of the kit, and also why this version fits both SuperCab and SuperCrew trucks, rather than having separate part numbers for each. Here's a link to Kicker's instructions, if you want to verify. Was this answer helpful? 5 of 6 Found Helpful. 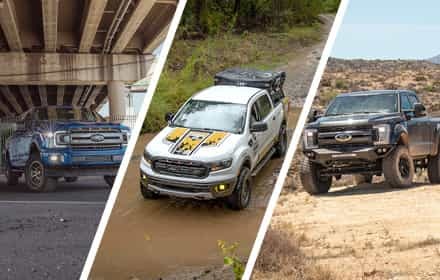 As long as your truck is not equipped with a Sony Sound System or an optional upgraded Kicker subwoofer from the factory, then this kit will fit your truck. 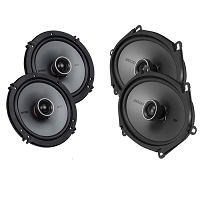 What is the difference between the PF150SC15 and the SF150SC15 The only I can tell is one is almost twice the price of the other? SF150SC15 is Kicker's SubStage System and includes a 200-watt amp and subwoofer built into a drop-in enclosure. 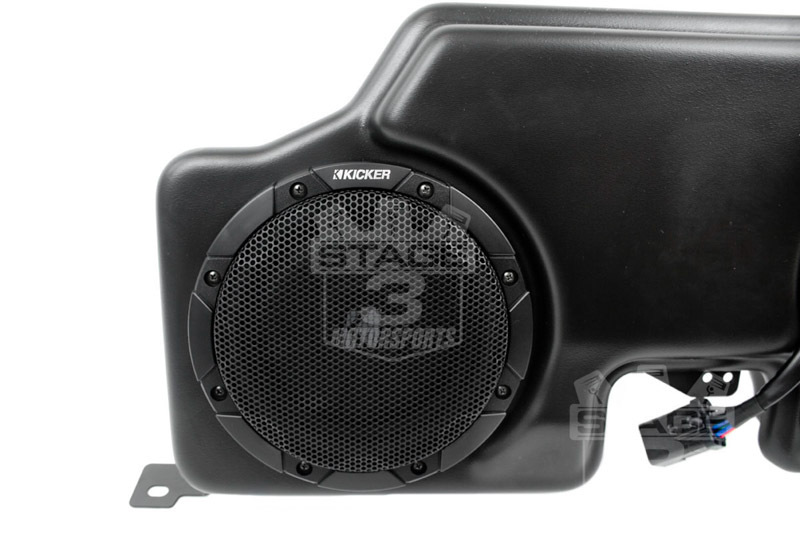 PF150SC15 is Kicker's PowerStage System and includes all the same components as the SubStage kit, but also comes with an additional 200-watt amplifier for your truck's door speakers, as well as all it's required wiring and bracketry. 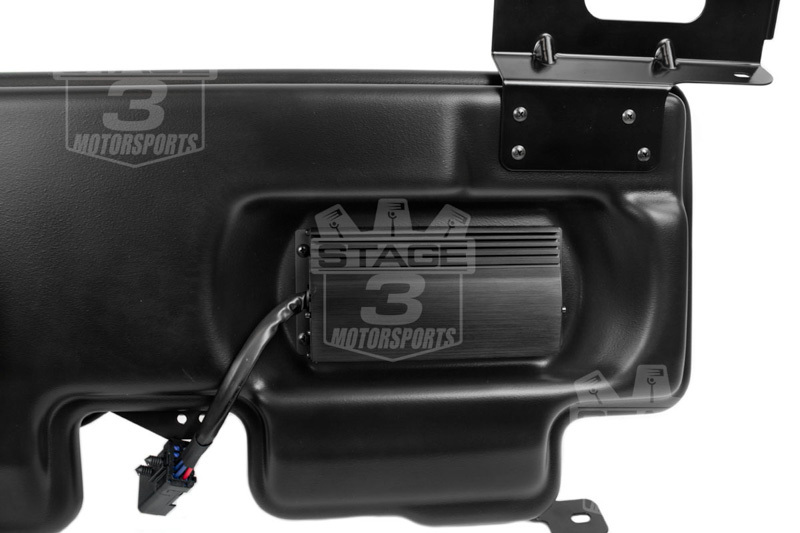 This kit fits and functions fine on the 2015-2016 F150 EcoBoosts. There was an issue with early kits not working properly on trucks with the Sony System, but Kicker updated the kit, and it's now compatible with both Sony System and base audio systems. 2.7L EcoBoosts can experience the sound cutting out due to the Auto Start/Stop switching from alternator power to battery power, but the system itself works fine besides that. I have had multiple emails with kicker and they assure me this will work in my 2016 lariat with Sony system. All I need to do beyond a normal install is pull sound from my front speakers. Are they wrong? I ordered this from you based on kickers emails. I can forward you the email chain if you like. Thanks. 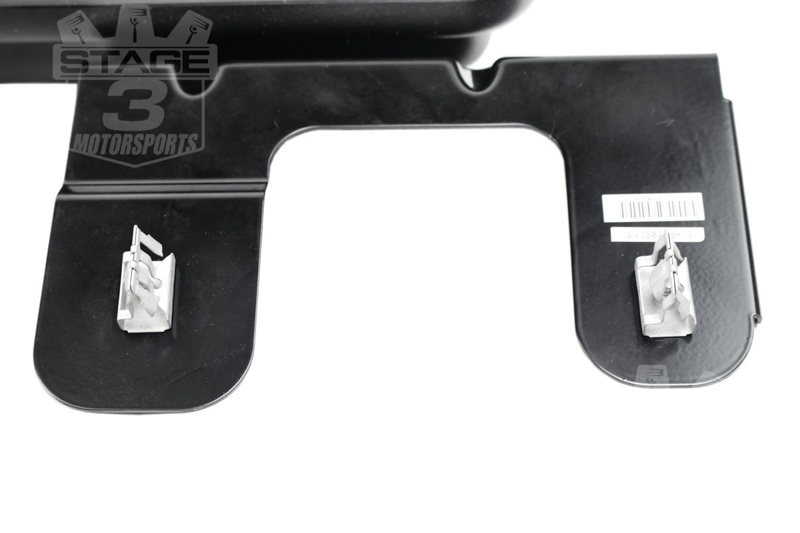 According to Kicker, they are now including a relocation bracket with their SubStage systems that moves the Sony door speaker amp from the Sony enclosure, which allows the SubStage kit to work with F150s equipped with the Sony System. This kit will now work with your truck. Can you post or email me the installations? How does the second amp (the kicker sub amp) install with the Sony door amp? Updated instructions for this kit are located right here. 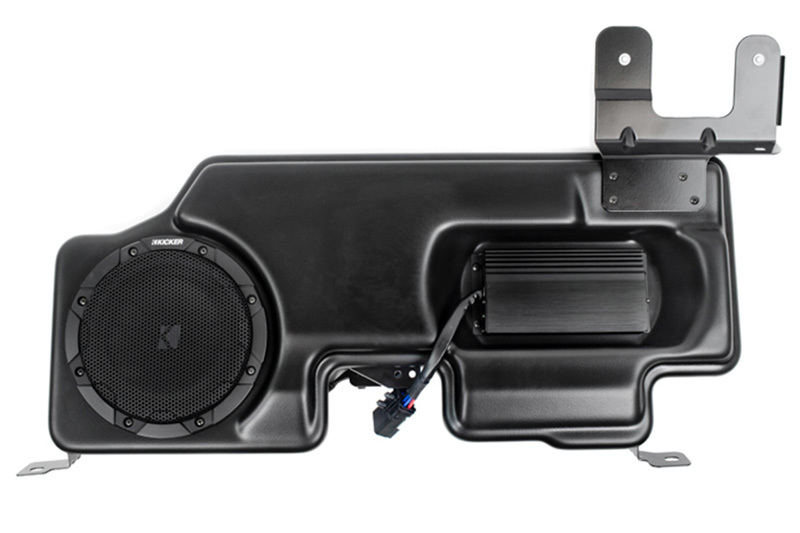 Basically, Kicker includes a relocation bracket that lets you install the Sony door speaker amp near the Kicker SubStage unit while allowing the Sony Door Speaker Wiring to still connect to the Sony amp. Would you publish the install instructions so I can figure out if I can do this myself? Updated instructions are located right here. Will this work in my 2017 ford f250 with Sony system....as a sub replacement? Yep. As long as your truck is a SuperCrew or SuperCab, this kit will work. Their sole issue is the Auto Start/Stop System which causes the subwoofer to cutout. The only fix is to disable Auto Start/Stop every time you start the truck, or have it permanently disabled with a tune. Other than that, the SubStage kit should work just fine. 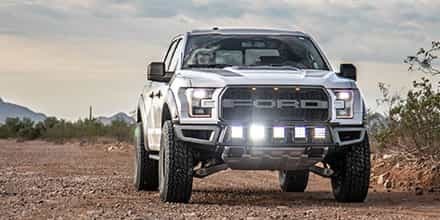 Will this kit fit 2019 F250 XL Crew Cab with basic audio package 8” screen Sync3 / Ford Pass? Yep. This particular kit will work with all head unit options, unlike the higher-priced PowerStage system.